In the district of Nalgonda, at the convergence of the rivers Krishna and Musi is located the temple town of Wadapally. Wadapally was formerly called as Wazirabad and is located 69 km away from the town of Nalgonda and about 26 km from the town of Miryalaguda. Vadapalli have been attracting tourists as it is situated at a beautiful union of two rivers. Visitors love to have a look at the unique ‘L’ shape formed by the joining of the rivers and which continue to flow together. 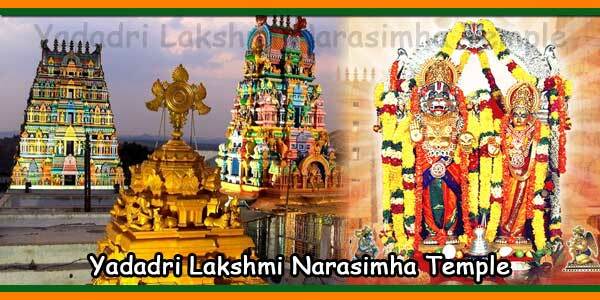 At the mouth of this meeting stands the Sri Lakshmi Narasimha Swamy temple, the popular temple of Wadapally. A legend explains the origin of the temple and it goes like this. Vyasa Bhagwan, the great saint, offered penance and requested Lord Vishnu to appear in Vadapalli. Vishnu was pleased with his penance and appeared before him in the form of the angry Narasimha who has just killed Hiranyakashyapa and is still rampant from the battle. Sage Vyasa requested him to stay in Wadapally as Narasimha and Vishnu agreed happily. 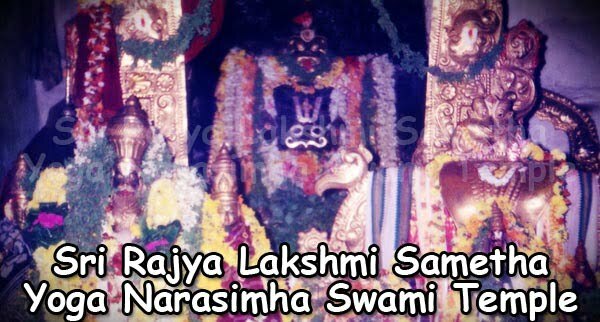 The Sri Lakshmi Narasimha Swamy hence bears the aggressive avatar of Narasimha who is blessing believers and solving their difficulties. The temple authorities have now adopted a exclusive process to find the truth behind this tale. 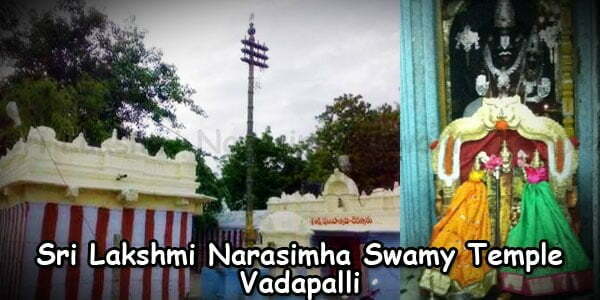 They place two lamps next to the idol of the Narasimha Swamy, where one lamp is seen trembling signifying the heavy breathing of the furious and angry God while the other lamp remains firm. 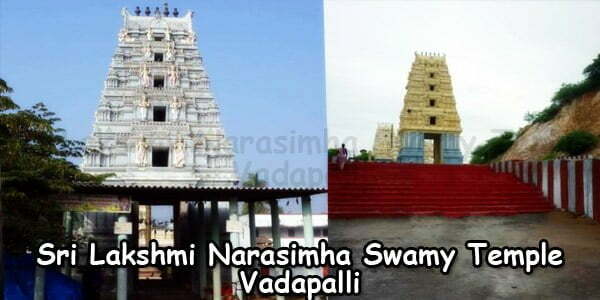 Another famous temple in Wadapally is the Sri Meenakshi Agasteswara Swamy temple, built under the reign of the Kakatiya rulers in the 12th Century. 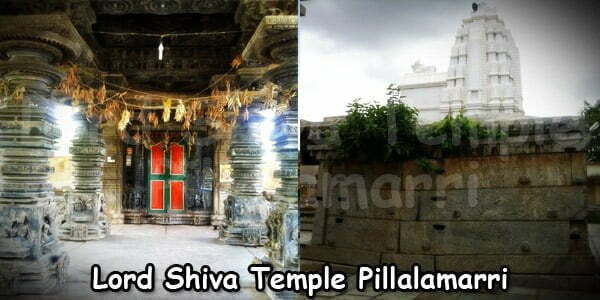 The temple is devoted to Lord Shiva and has a huge Shiva lingam within its grounds and is has a history of 6000 years. The lingam was said to be set up by the great saint Agastya. A matchless characteristic of this temple is a large fissure found above the Shiva lingam that is attracting the visitors. No matter how much water is removed from the crevice, it always gets refilled with water and the water level remains untouched. The Shiva Lingam is placed about 120 meters above water level and thus this nonstop supply of water remains mysterious. Such defying events make the belief and faith in the minds of the devotees even stronger. Wadapally also has number of mosques along with the temples. These include the Masjid-E-Sara-E-Meer-Alam mosque and the Qutub Shahi mosque. Travelers and devotees frequently rush to these places to seek the divine blessings. Wadapally should be visited in November. The Maha Shivratri festival precisely in these temples is celebrated with great pomp and joy. A few other renowned events of visit are during the festivals like River Krishna Pushkaram and Tholi Ekadasi. ‘L’ shape convergence or Sangam of the Rivers Krishna and Musi. Sri Meenakhsi Agasteswara Swamy templewell known for a historical Shiva Lingam of 6000 years. It is a very good spot for countryside and photography loving people and also for fun loving picnic goers. Have a casual chat with the locals to get some amazing and interesting facts about this place. Places like Nalgonda, Miryalaguda, Hyderabad and Secunderabad have easy bus and train facilities to reach Wadapally. From Miryalaguda, one can also take private transport to Wadapally. If you want to reach Wadapally faster, there is a boat facility also available. These boats also can carry trucks or vans and people. Wadapally village has many decent accommodation options for visitors. 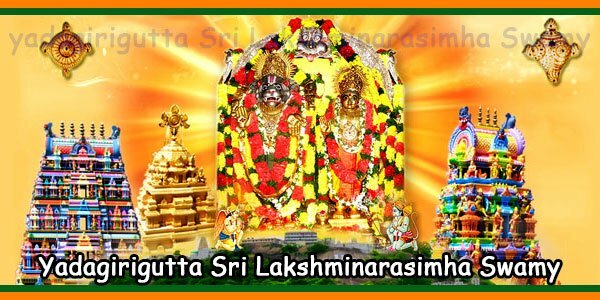 A guest house is also present in the premises of the Sri Lakshmi Narasimha Swamy temple to help the travelers with basic and yet neat stay facility. Tourists can also consult the temple authorities in finding rooms to stay here. Miryalaguda town, close to Wadapally also offers good accommodation facilities for travelers. This place is best to be visited in November, soon after the monsoons when the flow of water is the fullest. Some other good times to visit these temples are Maha Shivrathri Festival, River Krishna Pushkaralu, Tholi Ekadasi and Karthika Masam. One can pack food at Miryalaguda which is on the way to Wadapally. The locals can also be asked to cook food for you by paying them. Damaracherla and Vishnupuram Railway Station are nearest railway stations to Wadapally. Miryalaguda Railway Station is also another station close to Wadapally village.